Color M23, M28. 5 balls each color. Total 10 balls. US size 7 (4.5mm) needle. Measurement is 32" X 32". 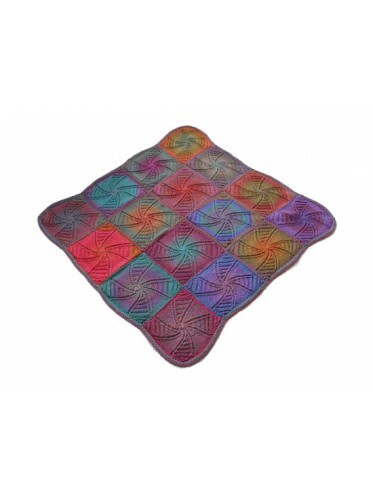 Click on the picture will show more blankets made with Rhythm Superwash yarn in color RS34 or in Tonic yarn in color AW192. It is knitted in individual squares, stitches are being picked up as each squares are being knitted, ends with a garter stitch border. No sewing is needed.